The Texas Attorney General’s office has been asked to launch an investigation into allegations of voting misconduct in a county that included the hotly contested GOP primary challenge to state Rep. Byron Cook of Corsicana. The Texas Attorney General’s office has been asked to launch an investigation into allegations that multiple people voted illegally in the 2016 Republican primary elections in Hill County, despite local officials’ claims that the discrepancies were caused by human error and would not have affected the results of any elections. The Texas Secretary of State's office made the request Thursday in response to a complaint from Aaron Harris, executive director of Direct Action Texas, a conservative political advocacy group. Harris noted that there were 1,743 more votes cast in the election than there were voters. In the most hotly contested race involving the county, eight-term state Rep. Byron Cook, R-Corsicana, eked out a victory in the House District 8 spring primary, receiving about 360 more votes than political newcomer Thomas McNutt, who is best known for his family's ownership of the Corsicana-based Collin Street Bakery, a well-known fruitcake purveyor. Cook did not immediately respond to requests for comment, and a spokesman for McNutt declined to comment. Even if the AG's office finds evidence of misconduct, it would not change the election results. The time to contest the primaries has passed, said Alicia Pierce, a spokeswoman for the Secretary of State's office. 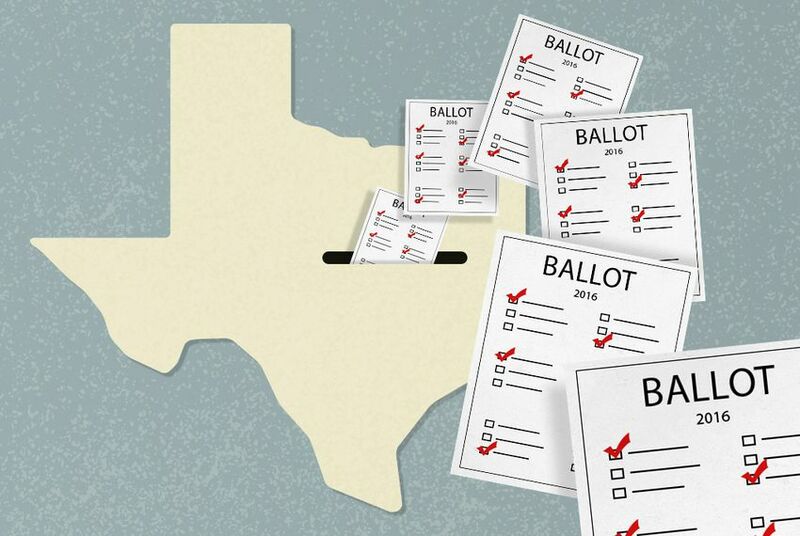 Six or seven primary voters are shown to have two ballot dates, and one voter appears to have voted as many as four times, Harris wrote in a letter sent to Hill County election officials in June. “Our research in Hill County has revealed very significant discrepancies in the 2016 Republican primary election,” Harris said in a statement. “Given the magnitude of this issue, we must reform the election code to restore the integrity of the process." Hill County Election Administrator Patsy Damschen said the difference could be explained by human error. While most votes are counted by a machine, early votes and absentee ballots are tallied by hand. The early votes were accidentally counted more than once, Damschen said. They were added to the absentee ballot count, thus inflating the total number of votes. But the mistake didn’t change the outcome of any elections, Damschen said. Removing the duplicated votes would lower the margin by which candidates won, but the winner in each of the county’s 22 precincts would remain the same. The Hill County primary elections also featured contested races for sheriff, tax collector, commissioners and constables. Harris took his complaint to the Secretary of State’s office in July. The office reviewed the matter and referred it to the AG’s office for investigation on Thursday. The investigation comes just a day after a federal appeals court ruled that Texas’ voter identification law is discriminatory. The U.S. 5th Circuit Court of Appeals said the 2011 voter ID law — which stipulates the types of photo identification election officials can and cannot accept at the polls — does not comply with the federal Voting Rights Act. Proponents of the law argued that it was needed to bolster security at the ballot box by preventing voter fraud, even though in-person voter fraud is incredibly rare — there have only been two convictions for such fraud out of 20 million votes case in the decades before state lawmakers crafted the law. In the case of the Hill County elections, the voter ID law wouldn’t have been much help, said Mark Jones, a political science fellow at Rice University’s Baker Institute. The law was meant to prevent one person from voting several times under different names, not one person voting multiple times as themselves, he said. There are already systems in place to prevent the latter. “This strikes me as a situation far more likely to be caused by administrative error,” Jones said.